Creating Blogger templates has always been a difficult task especially for those who are not familiar with HTML language. There is no recognized software that could help you in creating a flawless Blogger template neither from Google, nor from any third-party developer. 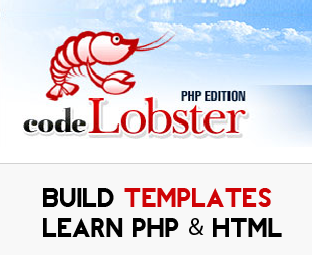 However, Codelobster is a versatile tool that would not only assists you in constructing templates for your site, but will also help you in learning different languages like HTML, CSS, XML, PHP and etc. 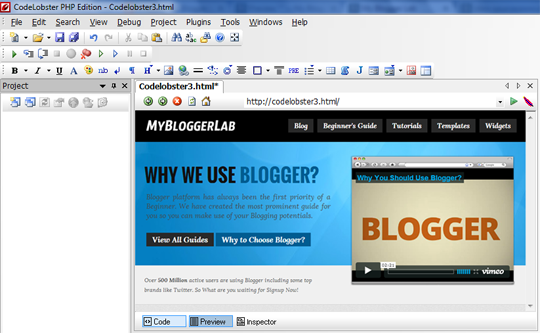 Therefore, today in this article, we will discuss how you can use Codelobster, how does it works, how you can create blogger templates using Codelobster. What is Codelobster PHP Edition? Getting your hands dirty with coding is perhaps a nightmare for someone who is not familiar with coding. It could take years to learn if a person is not provided with the accurate guidance. Sometimes conventional software could be the solution of your all problems. Codelobster is a multipurpose tool that supports almost all foremost coding languages including, PHP, HTML, CSS, XML, jQuery etc. There is no need to remember the conditions of the coding and vice versa. There is no need of Dreamweaver because it provides a complete package for designs and developers. Following is the list of features that is supports. HTML/CSS code inspector: It helps you to find the in-depth coding within seconds. PHP debugger: It is a package of tools that helps you in developing applications based on PHP. Read, Write and Preview: You can write codes, read them and can also preview them in your browser. Universal Tool: It has all standard features that are required for work with a code. Though, there are several HTML editors that could assist you in customizing your templates, but Codelobster stands above all of them. It has user-friendly HTML Editor that enables you to develop new themes or customize an existing one. It also supports XML language, so you can easily open an XML template and can edit them to a certain degree. This software is not developed for Blogger, but it is flexible enough to support few of its features. The First thing you need to do is to purchase a Premium version of Codelobster. The price of this software is no more than 120$, which is impressive for a tool that is jam-packed with thousands of quality features. However, it also has a FREE version, but that does not support plugins and lots of other fascinating features. Everything depends on your needs, if you only want to use it as an HTML editor then the free version is decent enough to assist you, but if you want to become a professional web developer then you have to go for Paid version. It is fantastic software for geeks. It has all those options which a standard designing tool demands. We are also using this tool to develop Blogger Templates for our sister blog @templateism. We hope this useful software would help you in learning different types of coding languages. What are your thoughts about this tool? If anyone has a better recommendation for our users, then feel free to leave it in comments. We want to transform this article into a never-ending resource for users. Nice tips Bro. But this software is for trial Period. Not everyone can afford to buy this. Great Post Faizan! Codelobster is amazing if it really works. Thank you for sharing it with us. Can it also be used with wordpress? Thanks Syed nice post for customization of template. We hope these information are enough. Yes Ayesha it did work with WordPress too. In fact it works awesomely well. Downloading now.. I hope this works as I have found a great template for blogger and need to edit the colours and such to meet my needs. Nope, Its a software build for a total coder if you are dealing with blogger/xml. Wasted few minutes of my life downloading and going through this software... :( nothing can be edited visually all have to be edited through codes.